Cocaine is among the most widely abused drugs in the United States and it remains the most widely trafficked drug, second only to marijuana. The National Survey on Drug Use and Health (NSDUH) reports that cocaine is the third most commonly used drug after marijuana and prescription medications, and cocaine-induced overdose seems to be on the rise. Despite its addictive potential, the rate of cocaine abuse remains high. It is primarily a psychomotor stimulant, and it acts on the dopamine-reward pathway, increasing the levels of dopamine, serotonin and norepinephrine in the brain. reasons people use cocaine due to the increased sociability and disinhibition they experience. There is an increase in euphoria, motor activity, feelings of well-being, sexuality and a decrease in appetite and sleep. However, repeated doses may lead to less desirable effects such as paranoia, involuntary motor activity, and restlessness. Lack of interest in previously enjoyable activities. Change in circle of friends. Deviant behavior, like stealing from friends or family. Lack of interest in fulfilling work or school commitments. Presence of cocaine paraphernalia (razor blades, rolled up dollar bills, etc.). The mesolimbic dopamine system is the pleasure center of the brain and a disturbance in this system is what causes intense 'craving,' and maintains the descent into dependence. Snorting can result in damaged or ulcerated nasal canals. Smoking crack may lead to respiratory damage and bronchitis. Intravenous use can lead to the transmission of infectious diseases like HIV/AIDS and hepatitis. Cocaine also increases the release of norepinephrine and serotonin. Norepinephrine has effects in areas of the brain that handle the increase in heart rate and blood pressure and, furthermore, function as the 'alert message' center of the brain. Cocaine users twice as likely to have seizures compared to non-users. By activating the sympathetic nervous system, cocaine increases heart rate and blood pressure, and this increases the risk of heart attacks and other cardiovascular complications after cocaine use. Serotonin is responsible for regulating behaviors such as appetite, mood, and sleep. Cocaine abuse can cause psychological havoc by gradually, artificially taxing these neurotransmitter systems. IV cocaine use--and the resultant rapid bioavailability of the drug in certain brain centers--can precipitate seizures; cocaine users have twice the risk of seizures compared to a non-user. Cocaine was first used in 1855 when it was added to toothache drops after a publication outlined its medical benefits in 1854. In 1886, it was a main ingredient in Coca-Cola, and this contributed to its widespread, heavy use. More recently, cocaine and crack use in the 1970s and 80s were associated with adverse public health consequences, including contributing to the HIV epidemic (from intravenous users). Increased chances of contracting diseases such as AIDS and Hepatitis (from intravenous routes of administration). Increased susceptibility to infection and illness (see above; also via nasal mucosal erosion and other decreased lines of immunologic defense). Obsessive scratching due to sensation of or frank hallucinations of bugs under the skin. A number of psychosis-mimicking mental changes. Deficiency in learning, decision-making and memory. Stroke (frequently in the setting of prolonged increased blood pressure). Erratic energetic and lethargic periods. Carelessness and lapse in judgment leading to accidents, etc. Without formal treatment, the craving and withdrawal effects of cocaine addiction can send the individual right back to the drug. Withdrawal from cocaine produces a number of very unpleasant side effects that can vary in length. Formally, combining substances is called "poly-drug abuse." Polydrug abuse occurs when two or more drugs are taken to intensify the high, with severely detrimental effects and increased propensity for dependence. Prescription opiates are commonly abused along with illicit drugs, like cocaine, because of increased availability and lack of medical complications like HIV or hepatitis (associated with IV heroin use). Sedative drugs and narcotics are frequently used to relieve paranoia or jitters that might accompany a cocaine high, or to blunt the "come-down" experienced after cocaine use has stopped. Polydrug abuse, especially involving cocaine, is more common among younger people that reside in suburban neighborhoods and on college campuses. This toxic cocktail of depressants and stimulants causes real danger and kills many young people every year. More than half of cocaine addicts in treatment are also alcoholics. A 2004 report in the Journal of Drug and Alcohol Dependence lists the concurrent use of alcohol and cocaine as one of the most serious public health concerns in the US. When taken together, alcohol and cocaine produce an intense and prolonged euphoric state and may lead to increased cardiovascular and respiratory toxicity. In addition, it is estimated that more than half of cocaine addicts in treatment are also alcoholics. According to the Substance Abuse and Mental Health Services Administration, in 2011, polydrug use involving alcohol and drugs sent more than 600,000 people to the emergency room. 25% of those visits involved alcohol combined with cocaine. Combining stimulants with depressants can significantly alter the perceived effects of each, frequently resulting in people taking dangerous levels of both drugs, and the resultant compounding of the side effects across the board. If you need help identifying your treatment options for cocaine addiction, please call our treatment advisors at 1-888-993-3112Who Answers?. Get Support Narcotics Anonymous uses a 12-step recovery support program to help those struggling with cocaine addiction or other drugs. Find a local meeting for you or your loved one. The risk of developing an addiction can be attributed to genetic and environmental factors that interact to produce drug-related effects and influence the progression from use to dependence. This combination also determines the propensity for relapse and the maintenance of abstinence after treatment. Epidemiological studies seem to indicate that approximately half of a person's risk for cocaine addiction is genetic. According to the National Institute on Drug Abuse, 40-60% of the predisposition to addiction can be attributed to genetics. This is certainly true in the case of cocaine-abusing alcoholics, which exhibit a high rate of familial alcoholism, due to shared genetic vulnerability or exposure to undesirable influences. Environmentally, there are several risk factors that can influence cocaine abuse. Personality traits like risk-taking and impulsivity correlate with cocaine abuse because the euphoric and hyper attentive effects directly cater to these traits. The primary catalyst for environmental influences is the 'stress-response system'. 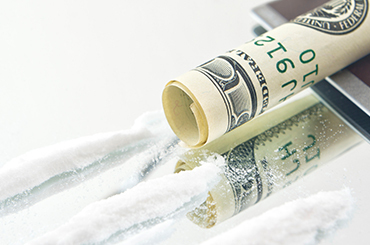 The presence of comorbid psychiatric issues also mediates the risk of addiction to cocaine. Developing a tolerance to the amount of cocaine use and increasing dosage to have the same effect. Experiencing withdrawal during abstinence from cocaine. Unsuccessful attempts to stop using cocaine and spending a large amount of time obtaining it, or using it. Person is unable to enjoy activities because they spend a lot of time recuperating from the effects of cocaine. Compulsive use of cocaine despite knowing it will lead to adverse consequences. Reaching out for help will allow you to regain control of your life. Admitting that you have a problem with cocaine is often very difficult but it is an outstanding first step that will change the direction and the outcome of your life. The impact of cocaine abuse is profound and can leave behind a horrific wreckage of a previously in-control life. Reaching out for help will allow you to regain control of your life. You will no longer be bound to the chains of the dreadful disease of addiction. If you recognize these signs in yourself or a loved one, our treatment advisors can help you figure out what the next step is. Do not wait, call us at 1-888-993-3112Who Answers?. If someone you love or care about is displaying signs of cocaine abuse, it is imperative that you do what you can to get them into treatment. Always keep in mind that addiction is not a choice. Unfortunately, sitting down and talking to them doesn't always work. When this is the case, other methods of seeking help may have to be explored. Taking a stand is important. Once individuals lose the support of those closest to them, the picture of addiction seems to change. This is tough love but it only works if they believe that you mean what you say. It can be hard, very hard, but it is the only hope for getting them into treatment. The changes that the brain endures from the abuse of cocaine are quite complicated. The drugs over stimulate the natural neurotransmitters that are responsible for controlling pleasure, movement, motivation, and emotions. enjoyment unless they are consuming the drug. This is the nature of addiction. Cocaine addicts have many options available today. Treatment options for cocaine abuse may require inpatient or outpatient treatment. A thorough assessment is conducted prior to deciding which option is best suited, followed by devising a comprehensive treatment plan that is specifically tailored for that individual. Inpatient treatment is expensive, but removes the person from environments that promote addiction and offer medical assistance in the case of severe complications. Luxury inpatient treatment centers offer state-of-the-art treatment coupled with lavish amenities such as spas, massages, yoga, acupuncture, and gourmet meals. Executive inpatient treatment facilities offer well-appointed amenities and also include access to phones, computers and meeting areas to accommodate the needs of professionals. Short-term detox programs are available. These programs purge the drugs from the body without requiring a long-term time commitment. Extended care options benefit people with severe addiction profiles. Research indicates that the strongest determinant of need for extended care is the failure to achieve abstinence from cocaine and contaminant substances immediately following inpatient treatment. 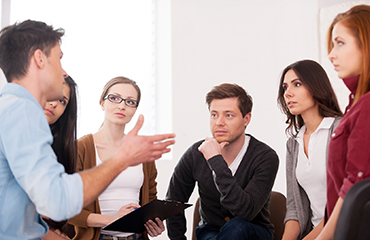 Outpatient treatment facilities are often an option for individuals who are not high risk and have obligations to meet. Outpatient treatment may include modalities that are similar to inpatient treatment, without the need to stay on premises. This allows individuals increased flexibility to meet their daily obligations while getting the help they need. Cognitive Behavioral Therapy (CBT) is becoming increasingly popular in treating cocaine addiction because they are taught the skills to make drug use less attractive and create alternatives for reward. Additionally, patients are taught to deal with relapse warning signs and cope with memories of cocaine-induced euphoria. Motivational therapies are also effective in dealing with the denial, concealment, rationalization, minimization and blame attribution tendencies of cocaine addicts. Patients are taught to acknowledge their role in the problem and become self-motivated to quit. Motivational therapies also increase patients' self-efficacy and responsibility. Problem behaviors in interactions with their families, peers, and in social settings. A lack of mutual attachment. No close relationship with a compassionate adult. Adults who abuse drugs or suffer from mental illness. 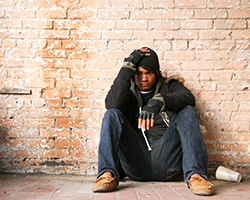 If you suspect that your teen may be abusing cocaine, you must take immediate action. Be supportive and compassionate but also be firm. You are fighting for their life so be clear that you refuse to stand by and watch them destroy their life. It is important to know that help is available and only a phone call away at 1-888-993-3112Who Answers?. Reach out and accept the help that is waiting for you.